Information Booths in each town, and a Chamber of Commerce on call. 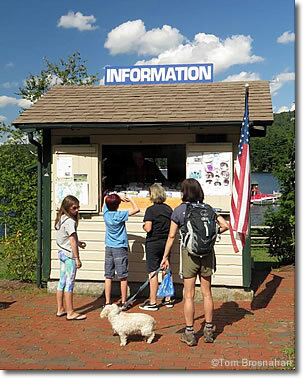 Each town in the Lake Sunapee region has its own small Tourist Information office, booth or kiosk, with signs pointing the way to it. at the southern tip of Lake Sunapee.